Your child’s favourite friends are now sturdier than ever! 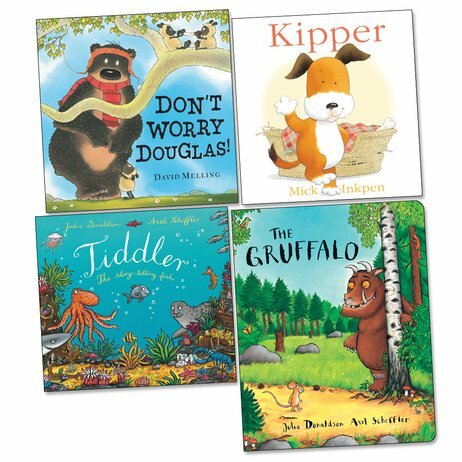 These durable editions of four bestselling stories let tots enjoy them again and again: a fantastic way for the littlest ones to enjoy these timeless tales. 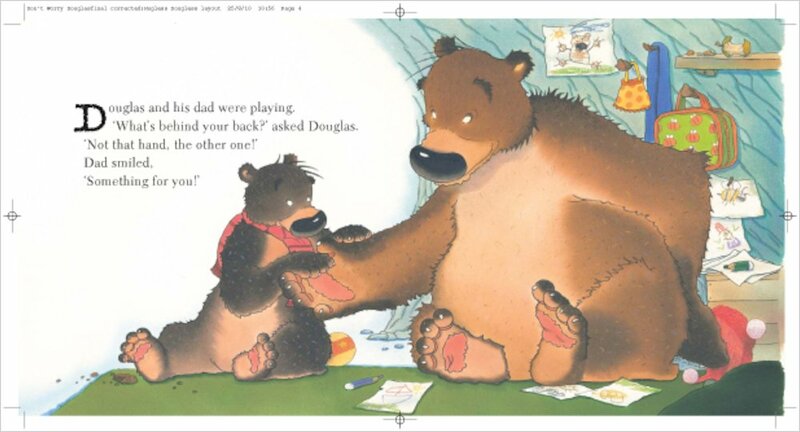 First off is a major classic from Children’s Laureate Julia Donaldson and artist Axel Scheffler. The Gruffalo is a clever rhyming tale that has become one of the most popular picture books of all time. From the same creative team comes Tiddler, the story of a little fish who is fond of telling tall tales. But will anyone believe him? 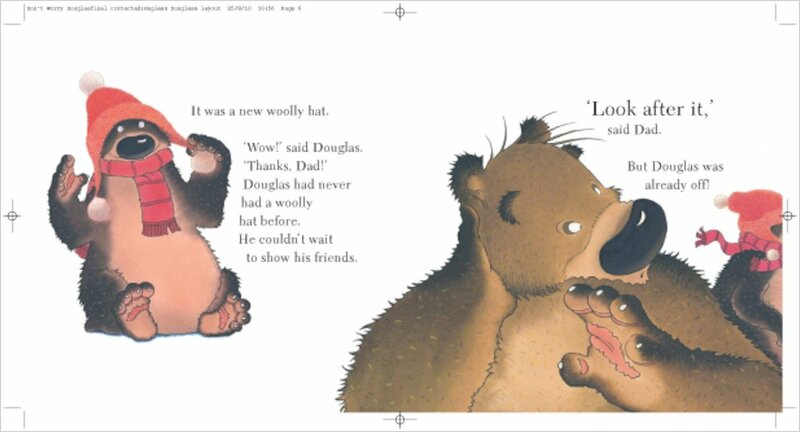 In David Melling’s hilarious and heart-warming Don’t Worry Douglas!, bear cub Douglas has no idea how to fix his unravelling woolly hat. Finally, Mick Inkpen’s classic book Kipper tells the story of a pup who is fed up with his smelly old bed – it’s time to find a new place to sleep!